IMN is more than an interfaith association of transitional colleagues working with congregations during times of transition. IMN is a community of practice. Members have knowledge, expertise, stories, successes, and challenges to share about working effectively with congregations during times of transition. The IMN Member Support Team offers a new opportunity for IMN Members to be in community with one another. The IMN Virtual Café is a monthly opportunity to share a conversation about a transitional topic. Open to settled clergy, interim clergy, lay leaders, transitional clergy, and judicatories. Using Zoom video conferencing, or your telephone, you will be in a topic-specific 90-minute conversation with your colleagues and a host with experience on that topic. Join Arlen and others to discuss the basics of contracting and what to know before you start negotiating. Dialogue on how to create the best transitional ministry agreement/contract that clearly outlines the responsibilities of both parties, get what is important for you as well as how to sell the best YOU! Host: Arlen Vernava has served, since 1985, both settled and interim congregations in the Northeast and provided leadership to ecumenical and interfaith groups and organizations. Vernava is an IMN Professional Transition Specialist, an IMN Faculty member, Team Lead for the IMN Education Team and a Senior Consultant with Design Group International. His ministry includes coaching executive leaders during organizational change and transition, helping congregations and organizations live into their vocation, and serving as embedded strategic interim during a congregation’s seasons of change and transition. In March, he completed a year-long course of study and certification in Coaching and the Enneagram, through the Madanes School of Enneagram Coaching in Israel. In both theory and practice, Intentional Interim Ministry isn’t about delivering the perfect solution, it is about being a living model of an Action/Reflection approach to congregational learning and empowerment. Join the conversation with John and others to reflect on our learning experiences, as well as an opportunity to identify things which went really well! 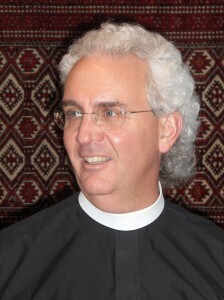 Host: John Keydel is currently the Interim Rector for St. James’ Church in Loithan, Maryland. Over his 18 years of ordained ministry, John’s main focus has been formation, whether for a diocese or as an interim. Prior to his work as a congregation intentional interim, he served as a Canon in the Diocese of Michigan for nine years, including six years as the Canon for Ministry Development and Transitional Ministries. 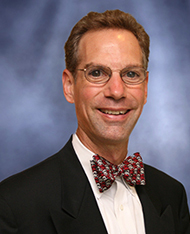 Keydel started his career with eleven years in retail banking in Connecticut. His M.Div. degree is from the Berkeley/Yale Divinity School and holds M.B.A. and M.Ed. degrees. These pilot offerings are FREE to IMN members. The first 15 members registering for each IMN Virtual Café are guaranteed a spot in the conversation. Others after the first 15, will be saved for future dates of the topics. To register click on the topic below and add to cart. Complete the information on the shopping cart and SUBMIT. Ellen Goudy will contact you in a separate email with the call accessing details. The education of clergy and congregations in the interim time has proven to be essential in the life of the congregation. IMN seeks programs that enhance this ministry for the clergy and the lay leaders. Many programs are developed around the framework of the Fundamentals of Transitional Ministry training. Time to time IMN will partner with other organizations to bring to its visitors and membership a well rounded curriculum. The (FTM) Fundamentals of Transitional Ministry is run year round in different cities and countries. In Partnership with the Center for Congregational Health the Art of Consulting Program is offer 1 to 2 time per year. IMN Annual Conference is held once a year in various locations. Offering Keynote speakers and a series of workshop offerings. On-line Virtual Cafe will feature topic driven conversations. Continuing Education are 1 to 2 day seminars on a specific topic.